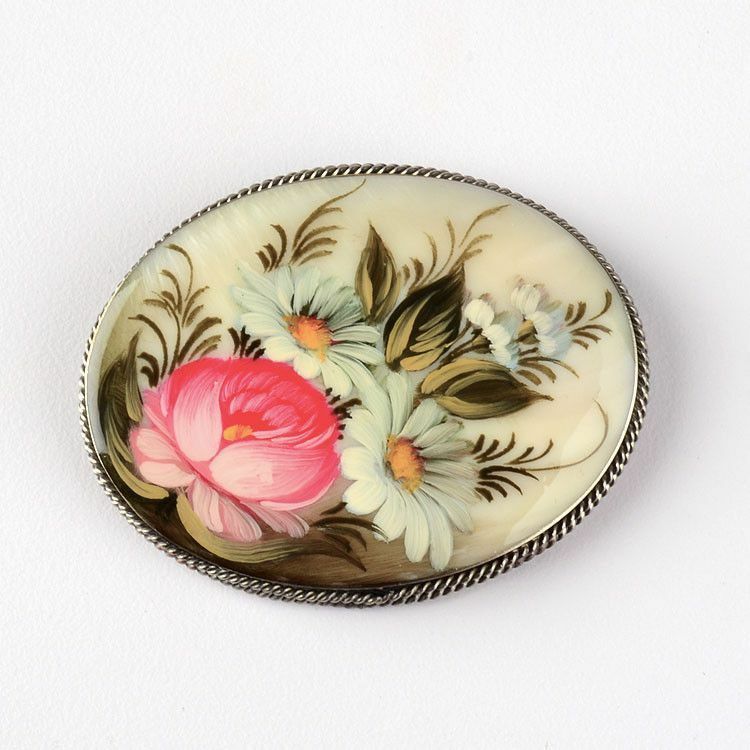 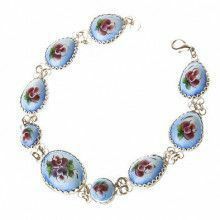 This luminescent pin is truly a work of art, as it features a miniature painting of a floral arrangement (roses and daisies) which is exquisitely detailed. 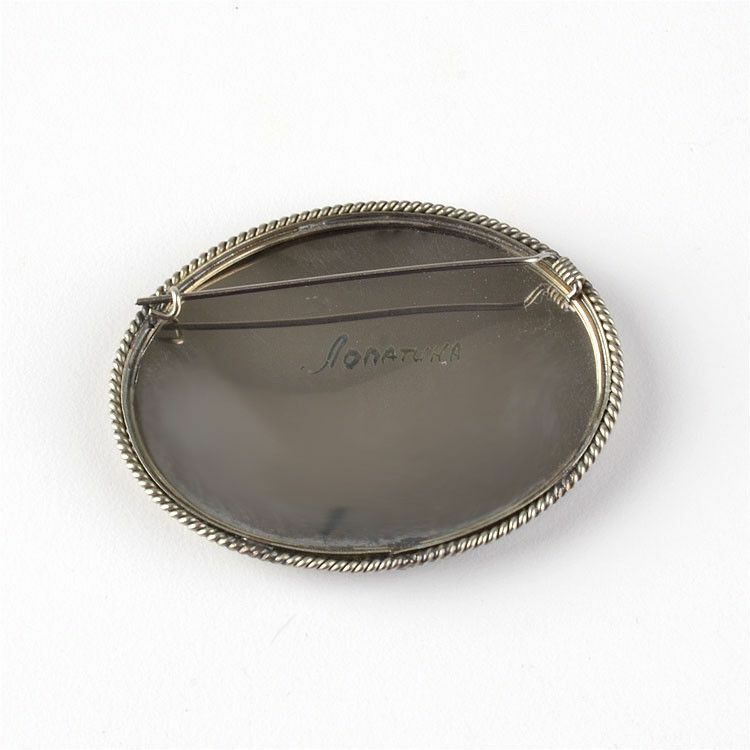 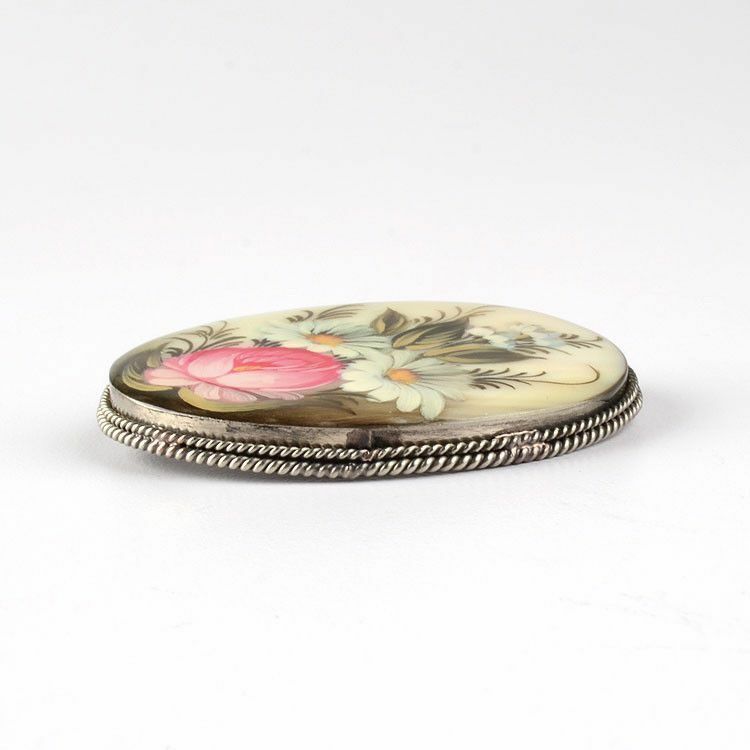 The brooch is made of mother-of-pearl base that is nested into a German silver frame with a simple pin on the back. 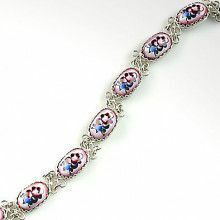 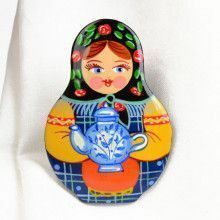 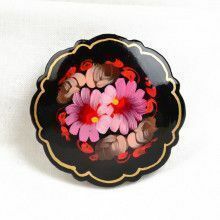 Each brooch is painted in the classical Fedoskino style. 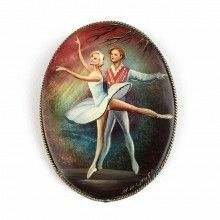 Fedoskino is the famous Russian school of miniature painting.